LeanSwift eFillment for Infor M3 bridges the gap between M3 and Amazon for inventory replenishment by automating Fulfillment by Amazon. eFillment consolidates information for greater supply chain visibility and efficiency to increase productivity and accuracy through automation. When products are purchased on Amazon, eFillment is notified. 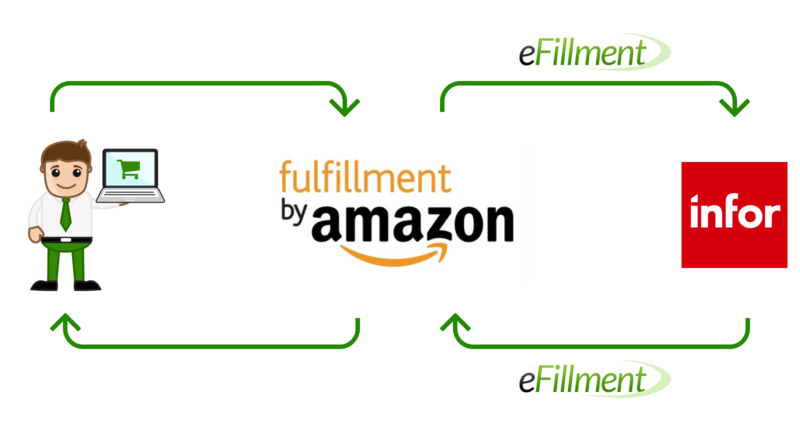 When the inventory in Amazon drops, eFillment works with M3 to generate approval and ship more inventory to the correct Amazon fulfillment center.